Quail Hill Publishing, 9780692328484, 284pp. Joanne Pence was born and raised in northern California. She has been an award-winning, USA Today best-selling author of mysteries for many years, and she has also written historical fiction, contemporary romance, romantic suspense, a fantasy, and a suspense novel with supernatural elements. The books have been awarded or finalist for the Willa Cather Literary Award in Historical Fiction, the Romance Writers of America RITA and Golden Heart, Daphne duMaurier award, Independent Bookseller's Golden Scroll Award, Golden Quill Award, and the Romantic Times Career Achievement Award. Joanne hopes you'll enjoy her books, which present a variety of times, places, and reading experiences, from mysterious to thrilling, emotional to lightly humorous, as well as powerful tales of times long past. 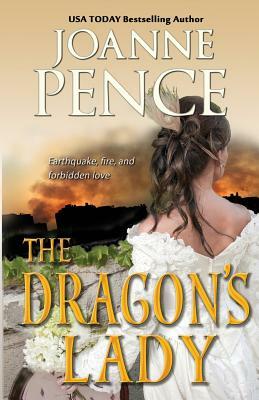 Links to all of Joanne's books in a variety of print and e-book editions are available at her website: JoannePence.com.